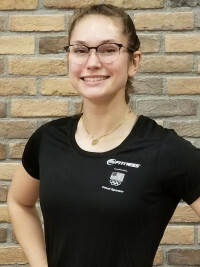 24 Hour Fitness Personal Trainer Bio Jess B. Growing up and in high school I ran cross country and track and competed in Nike Cross Regionals. After suffering a career ending injury, I started my journey in college as a power builder incorporating both powerlifting and body building ideals into my fitness routine. Soon after that I became a personal trainer and pursued my passion of helping others get stronger and move through their fitness journeys. My motivation has always stemmed from wanting to do better and continue to see others and myself grow through fitness and pursuing a healthy lifestyle. We only get one life, we might as well make the most of it. Teaching powerlifting, olympic lifts and bodybuilding is my passion!